DISCLOSURE: I have received the Go Gaga! 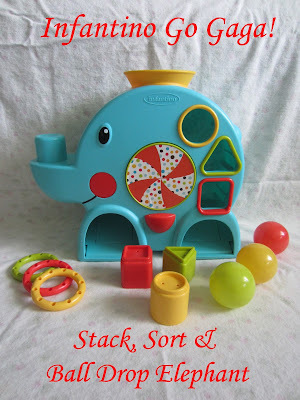 Stack, Sort & Ball Drop Elephant from Infantino to facilitate my review. Each activity is supposed to help encourage fine motor development, hand-eye coordination and rewards early problem solving efforts. 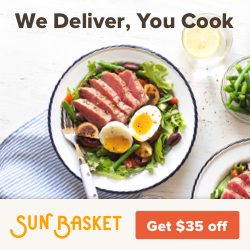 It's recommended for infants 6 months and up. 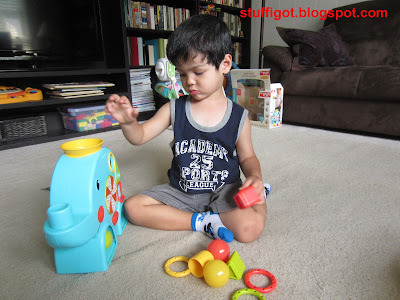 The Shape Sorter features three colored blocks in three different shapes. 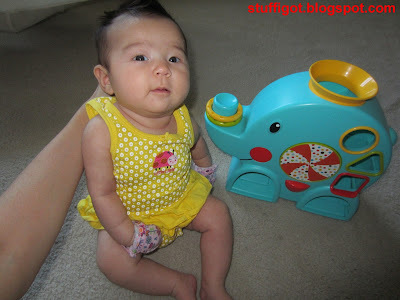 It rewards your child with song, sounds and light when they put the blocks into the elephant. There are three small balls included in three different colors. 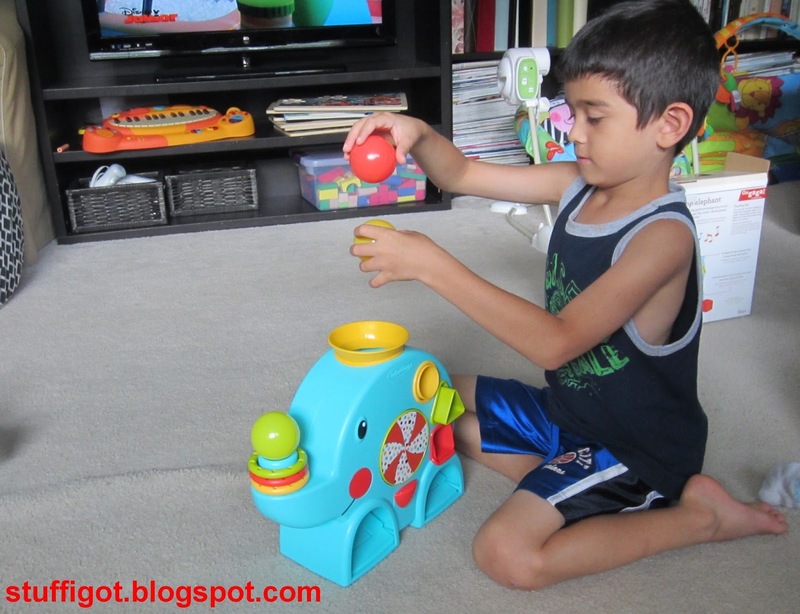 Your child can drop them into the elephant or balance one on the elephant's trunk. The balls are easy for small hands to hold. The center of the elephant features a colorful pinwheel. It spins and activates music and lights with a simple push of a lever. The Stack, Sort & Ball Drop Elephant also includes three colorful rings. They can be stacked on the elephant's trunk. When I received the elephant, my youngest was still a little too young to play with it. But, she liked the colors and I'm sure will have fun with it when she gets a little older. My next youngest is 2 1/2. He LOVES the elephant! He had been out with my husband when I took the pictures of the elephant. When he came back, he was pretty cranky and sleepy. But, when he saw the elephant, he immediately went over to it and started playing with it. He loves making it light up and play music. The music is kinda fun, but it's nice that you can also turn the volume down if you want. My son has even started trying to put other little things into the top of the elephant to make it light up! Even my six year old likes to play with it sometimes! 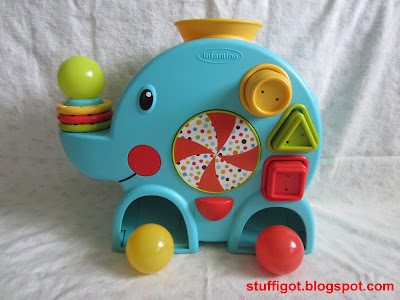 The only thing I didn't like about the elephant is that there isn't anywhere to store the balls and blocks when my kids aren't playing with it. We've already lost one of the rings! I'm sure it's somewhere in the house, but it would be nice if there was storage in the back of the elephant for the pieces. Definitely! 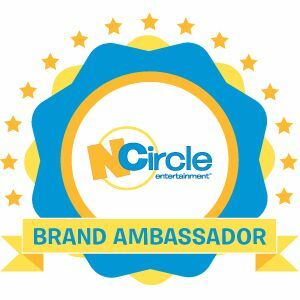 It's a fun way for your child to learn her colors and shapes! It even keeps my older kids entertained! It's sold exclusively at Target stores and target.com.